White flooring is often overlooked because it dirties easily, but consider this: It's also chic, guaranteed to match, and brightens up any space. Worth it, if you ask us. 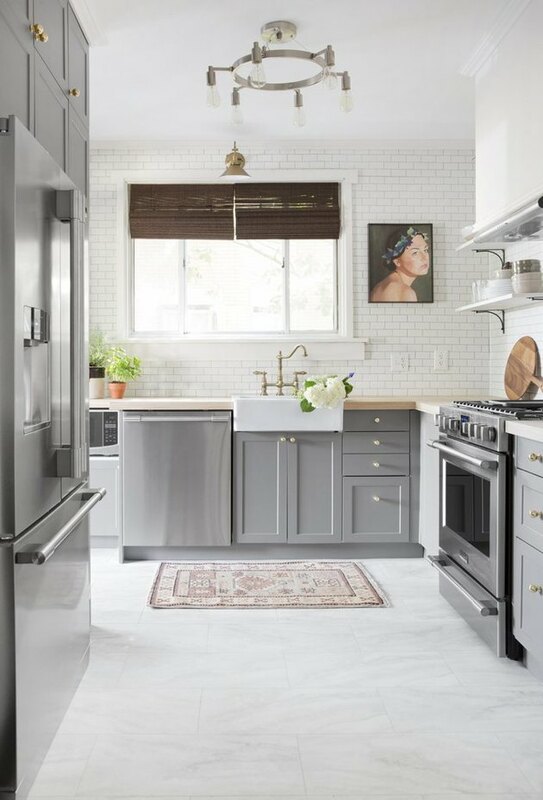 There are quite a few white flooring options for every room in the house, ranging from penny tile to hardwoods, so there's bound to be one that tickles your fancy. Read on for seven ideas that are surprisingly great. 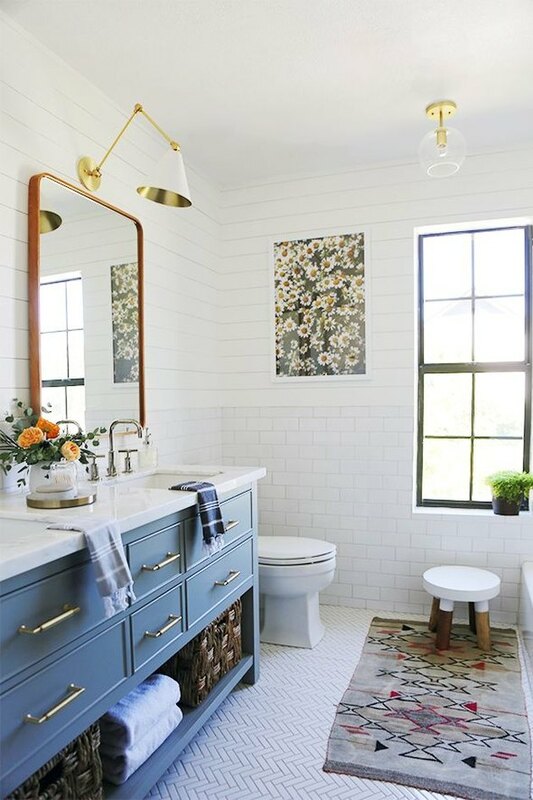 White penny tile looks fresh and clean in a bathroom. 2. 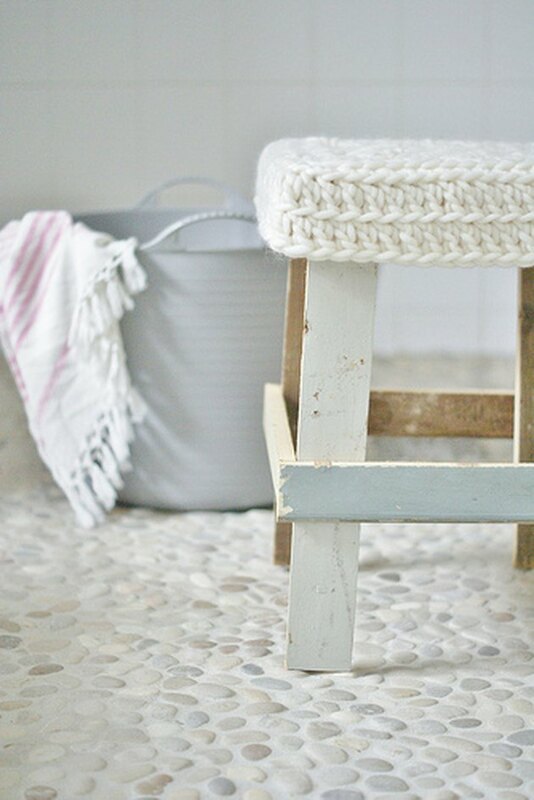 Arrange white tile in a herringbone pattern. This white flooring idea is anything but plain. 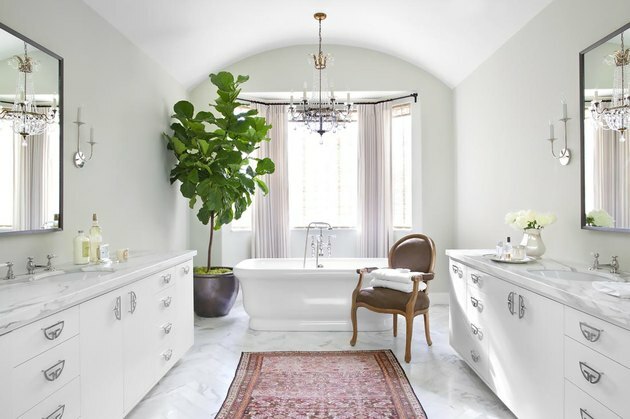 It contributes to the boho feel of this bathroom with fun texture. Bougie? Yes. Worth it? Definitely. Marble flooring adds instant class. 4. Or ball on a budget with vinyl tile. Vinyl flooring can be pretty and modern as long as you keep things simple, such as with white. Here's how to install it yourself. 5. 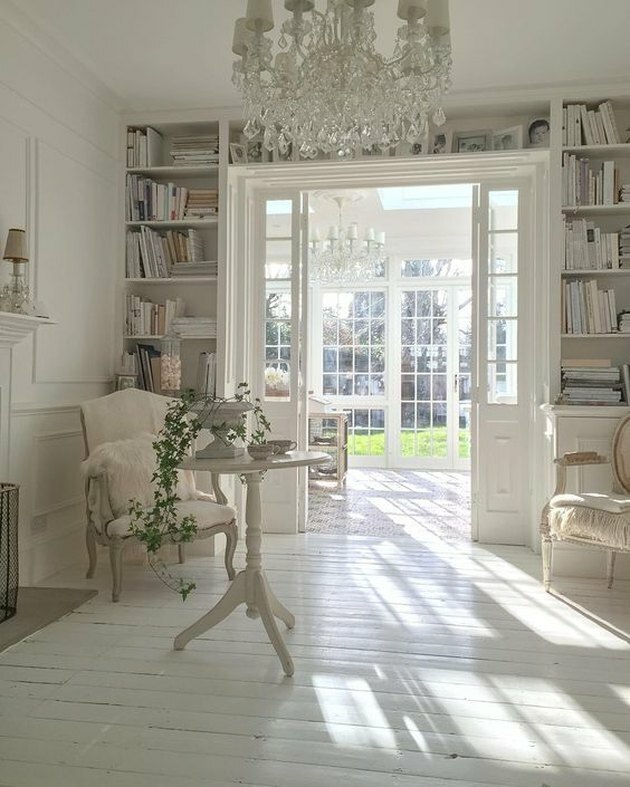 Paint your hardwoods white. If your hardwood floors are old and no longer in pristine condition, why not paint them white using epoxy paint? This can be a DIY project, but put in your research first, as it's important to stick to the rules to avoid ruining your floors. Note that it's important to take special care when cleaning painted hardwoods, as well. Or, if all of this sounds like just a bit too much, simply install engineered white wood flooring. 6. Start with a white rug. 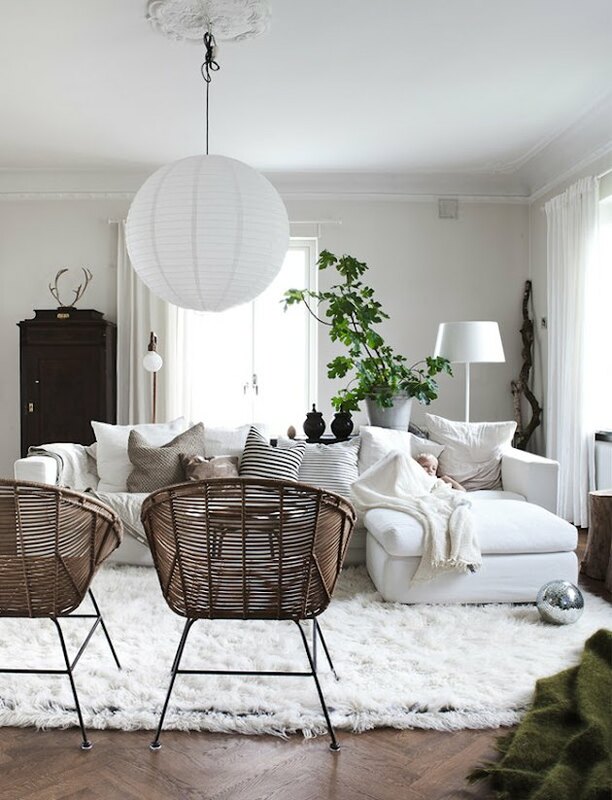 If you feel hesitant to take the white flooring plunge, why not start with a fluffy white area rug? There's nothing cozier. Learn more about the proper placement of area rugs here. 7. Install pebble stone tile. 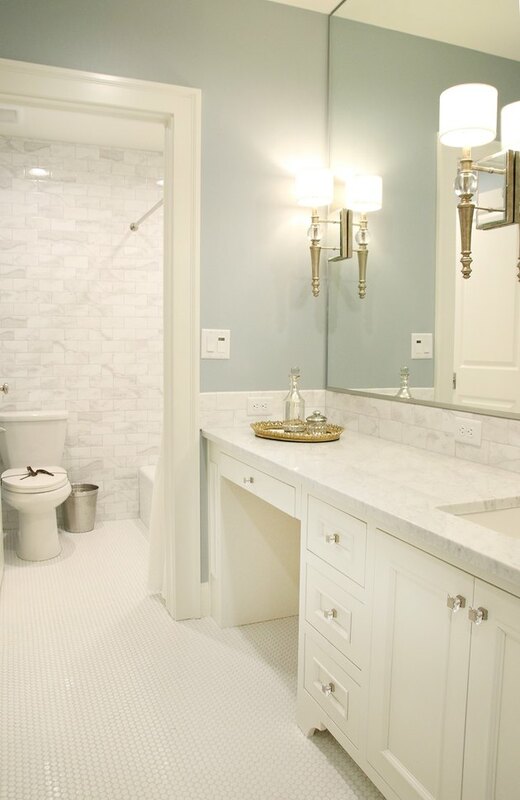 White pebble stone tile offers a subtle and clean, earthy feel. Plus, you can save some bucks by making your own pebble stone tiles. These floors work especially well in wet areas thanks to the traction their textured surface provides.